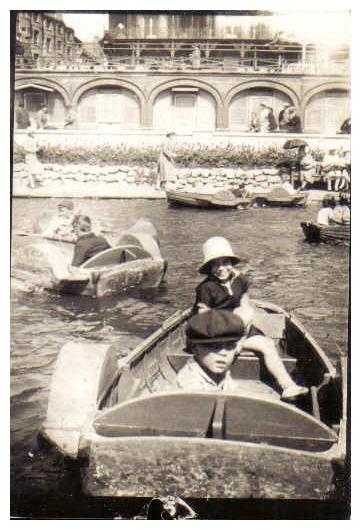 This photo was taken at the West Pier boating lake c1926/27. Apparently the Punch and Judy man would perform at the foot of the steps to the lake at the weekend. The photo shows my mum whose maiden name was Henrietta (Rita) Offen. She lived at 9 Railway Street where she was born in February 1919, and lived until her marriage in 1939.